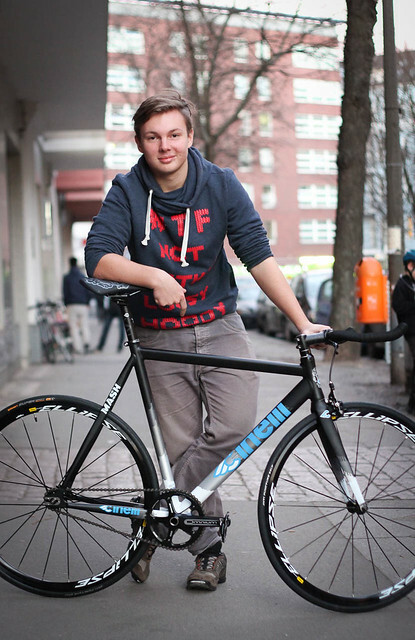 Kai wasnt lucky with his beautiful BB17 Transfer frame that was crashed only few days after getting it. 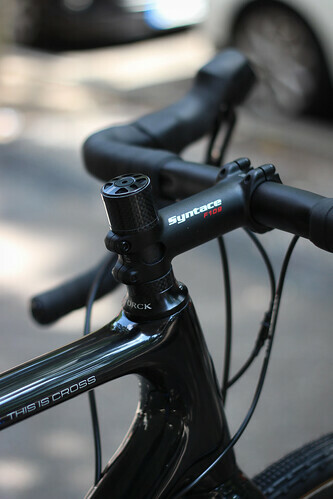 On the other side he was lucky to have a Cinelli Histogram at home he could use instead with the same parts undamaged. 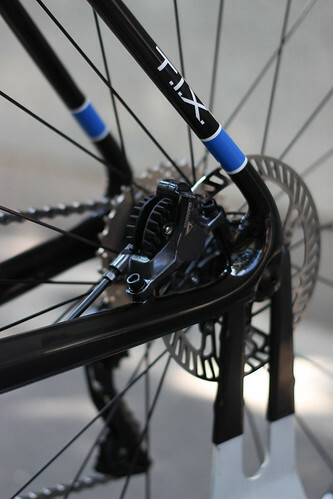 Phil Wood hubs laced to Notorious 90 mm carbon rim in the rear, Cinelli parts, SRAM Omnium and some more make it a nice mix. 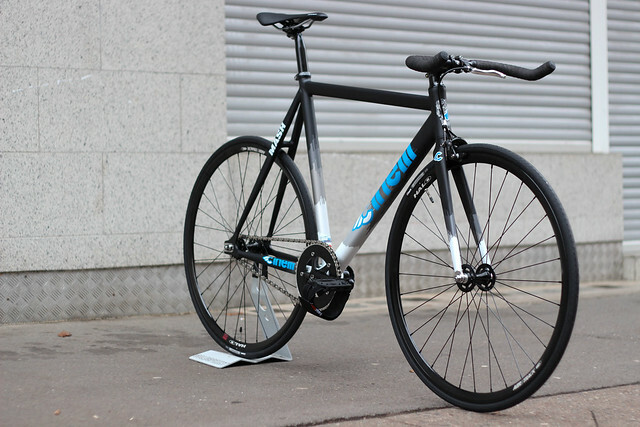 Another nice XXL Cinelli Histogram 2014 that was finished with some parts and wheels build by us. 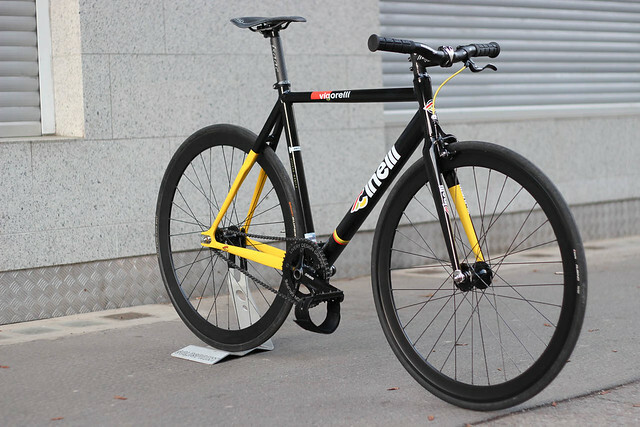 Kevins Cinelli Vigorelli was build up as uncompromising street machine with H+Son high profile rims, SRAM S300 with massive LDG chainring and riser bar setup. 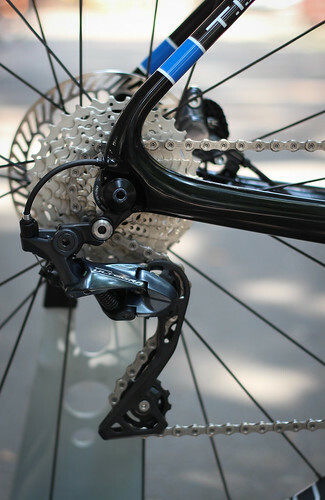 Once again Marco let us build another exceptional and beautiful bike. 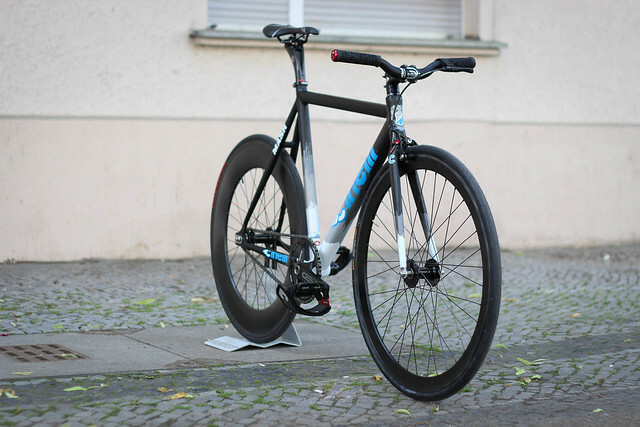 This time a true Crit machine build up on basis of the new Cinelli Parallax frameset with Phil Wood low flange track hubs / 50 mm carbon rim wheelset, high quality Thomson parts, SRAM Omnium and some more nice parts. 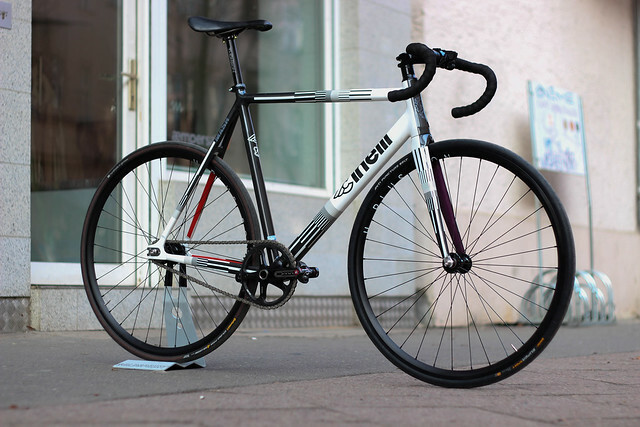 The second Cinelli Parallax build up (still have to upload the pictures of the first you have already seen on instagram) seen around here by Mischa. 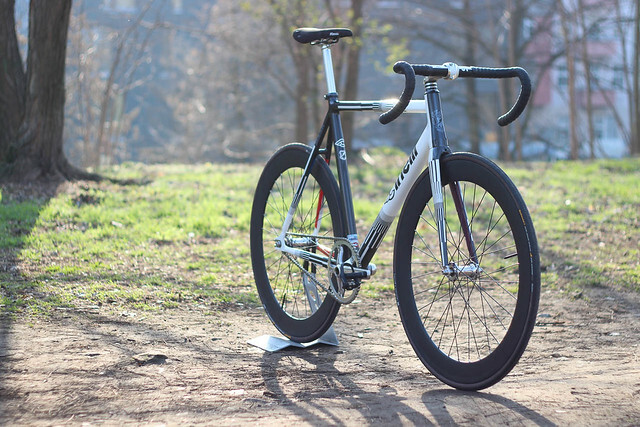 Very nice setup with Phil low flange hubs laced to H+Son Archetype rims. 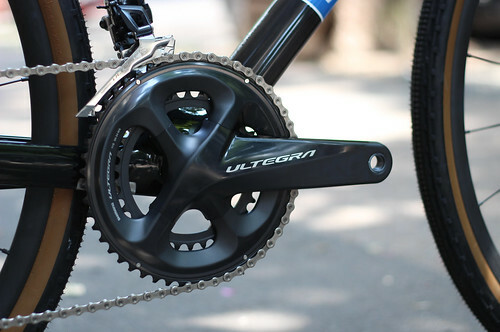 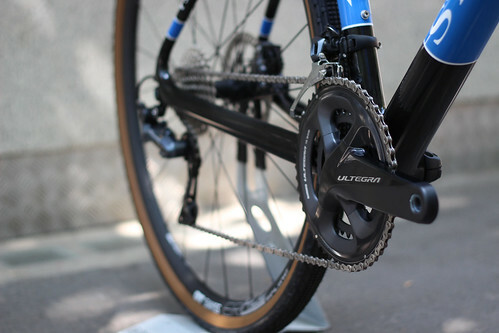 Of course a build up like this is not possible without a stiff omnium crankset. 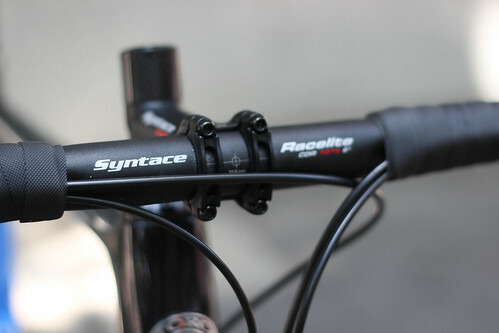 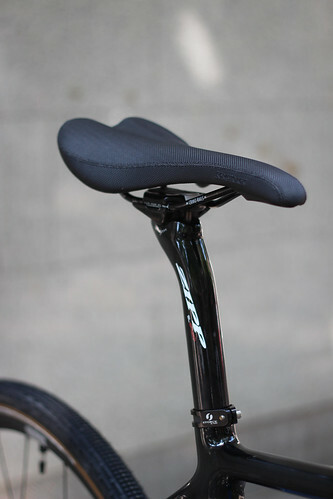 Additionally with Thomson seatpost and a matching Cinelli Mash stem and an all time favourite Selle Italia Flite saddle. 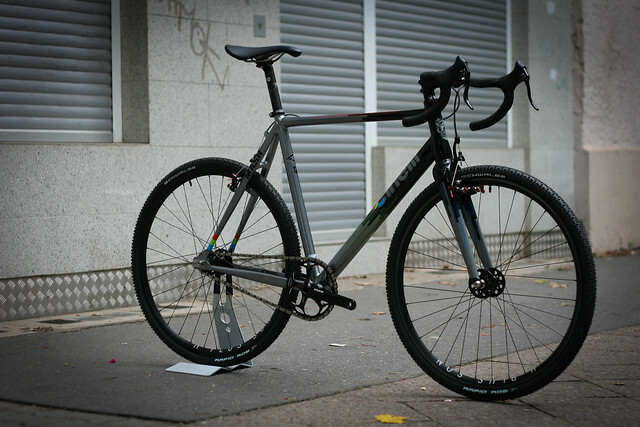 Ilias wanted to get one of the last 2013 Histograms before they are gone. 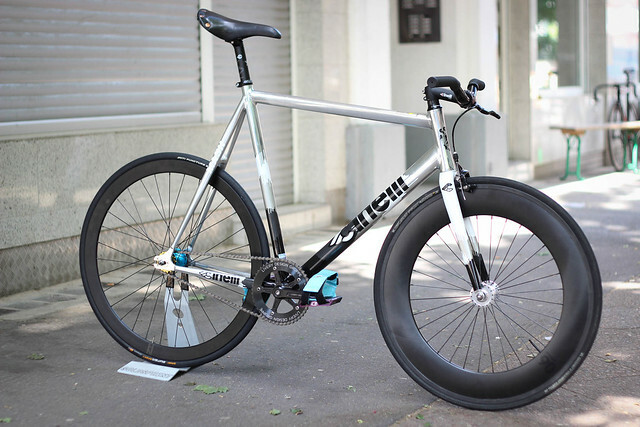 We had to make this bike a budget friendly as possible with a Cinelli MASH Histogram and used a light HALO Aertrack wheelset, an unlabeled Sugino Messenger and some basic but nice parts. 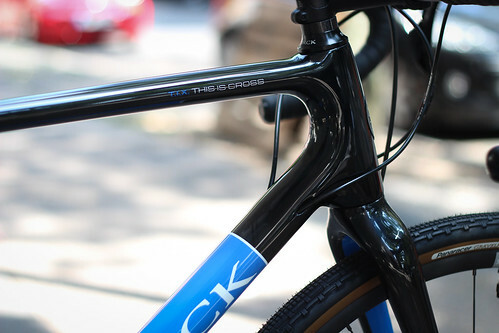 Awesome Cinelli CXSS singlespeed cyclocross build with rare Phil Wood high flange track hubs, Archetype rims and nice Avid ultimate cantilever brakes. 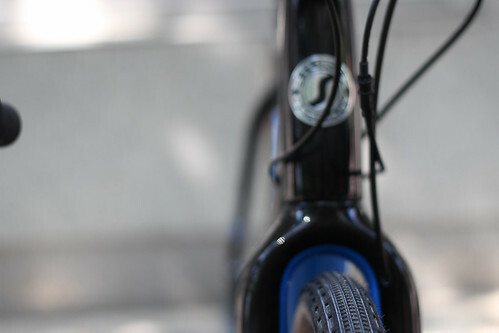 This bike is so much fun in the city and of the road. 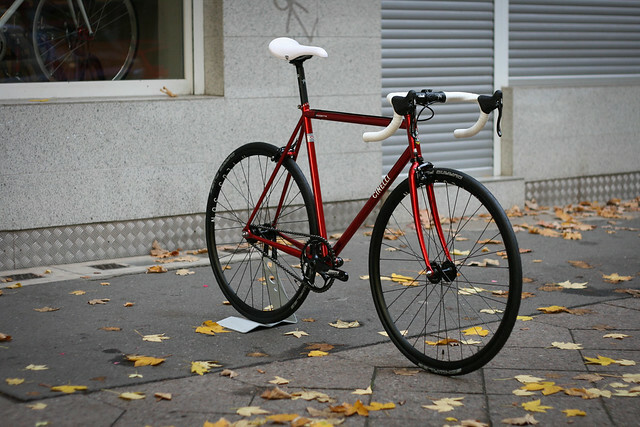 The new Cinelli Gazzetta has one of the nicest colours we have seen so far, the red is just beautiful. 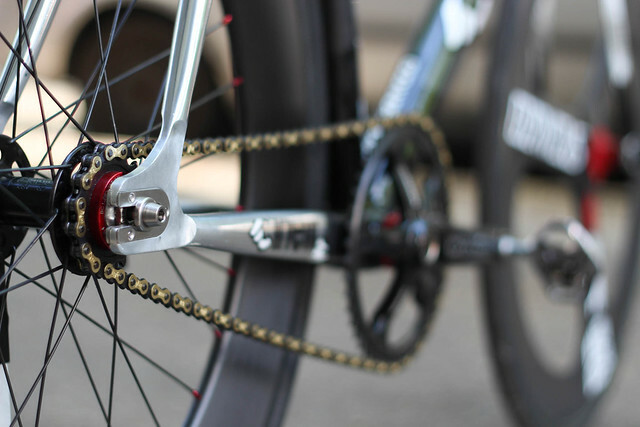 Stiff and strong Gran Compe / H+Son Archetype wheels and nice Cinelli parts were used for Sandors Cinelli Gazzetta build.